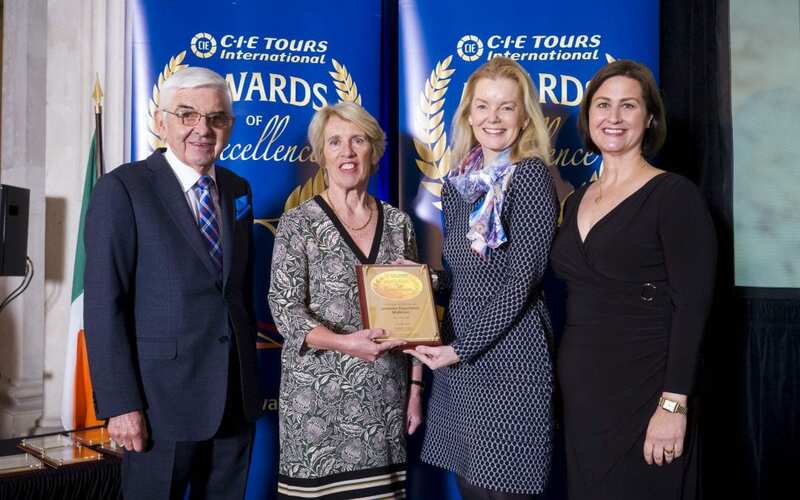 The Jameson Experience Midleton is celebrating after being awarded A Gold Excellence Award and winning the ‘Best Visit’ category at the CIE Tours International Annual Awards of Excellence which took place in Dublin’s City Hall on Monday evening, 28th January. Now in its 29th year, the annual awards of excellence recognise the best hotels and attractions across Ireland and are based on feedback from over 32,000 customers throughout the year. The Jameson Experience received a Gold Award on the night, having achieved a customer satisfaction rating of over 96% from CIE Tours International visitors, who said they received an exceptional quality experience and welcome during their visit. The honours were presented by Vivienne Jupp, Chairman and Elizabeth Crabill, Chief Executive Officer, CIE Tours International. Just 13 overall category winners were awarded a Gold Award on the night.